Wont let me add ANY Performance figures in the "Add Performance Figure" Box, So i gotta do it this way..
Hmm, I have added the Balocco time - 2:55:51 - but for some reason it shows 2:55:00. I am pretty sure I have typed it in correctly. Balocco 2:55,85 than 2s slower than normal V8 due to high track temperature. This is the best looking car in the world. I sold my Carerra GT to buy one of these in this \'down economy\'. Based on these track times, I made a big mistake. Hi guys, the poor top gear lap time is due to the fact that it was the stigs first practice lap. Usually, the Stig has many practice laps prior to the official time. Which stat are you talking about? Right, so it is slower than a DBS by nearly 1 second to 100 m/h? I seriously doubt complete legitity of this database. It can do alot better than that. the 380bhp V8 vantage did the same time at the ring as the dbs, so this should do around the 1:23-1:20's. i believe that was like a practice lap or sonthing. The goodwood time is more than respectable, but what the hell happened at the top gear track. 1:26.8 is slower than the recently tested jaguar xfr. Was the track wet? Did they have clarkson driving instead of the stig? What gives? This car seems to be fantastic but I wonder if you could change the hood with one that doesn't have any holes in it. Even so, it looks great! whatever beather means, i really hope your not trying to say some cheapo stripped out french hatch with scaffolding is quicker/better than this car?! They should change the design a bit but nothing significant but when making a totally new model they should do more than intakes. im starting too loose faith in my favorite company. they all DO look the same, just a tad bit different. 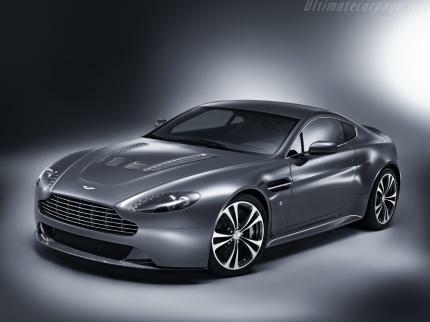 (sigh) i am a bit dissapointed about the V12 Vantage, i was hoping for a 600bhp RS Rocket. i guess you could say its a shrunken less expensive DBS! I unserstand your greif but to be honest we could say the same for porche as they all look the same except for the GT. looks wise, this is going to be one of the best in the world hands down. 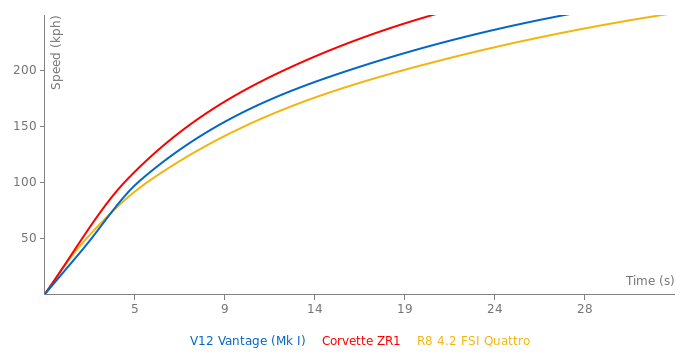 but performance wise, it's only going to be marginally above an M6. They really should be getting more than 510 hp from a 6.0 V12 in a car of this statue. This car is very nice but i seen a DB9 the other day which was a light kind of beige and it was AAAAAWWWWEEEESOME!!! I used to love beemers but now i love those ASTON MARTINS. Exotic looking sports car. Scuderia? NO! 612 Scaglietti? Yes.